Mr. Afolabi Imoukhuede will, on Monday, September 17, 2018; time 7PM, be holding another N-power Facebook Live chat with beneficiaries of the job initiatives programme. 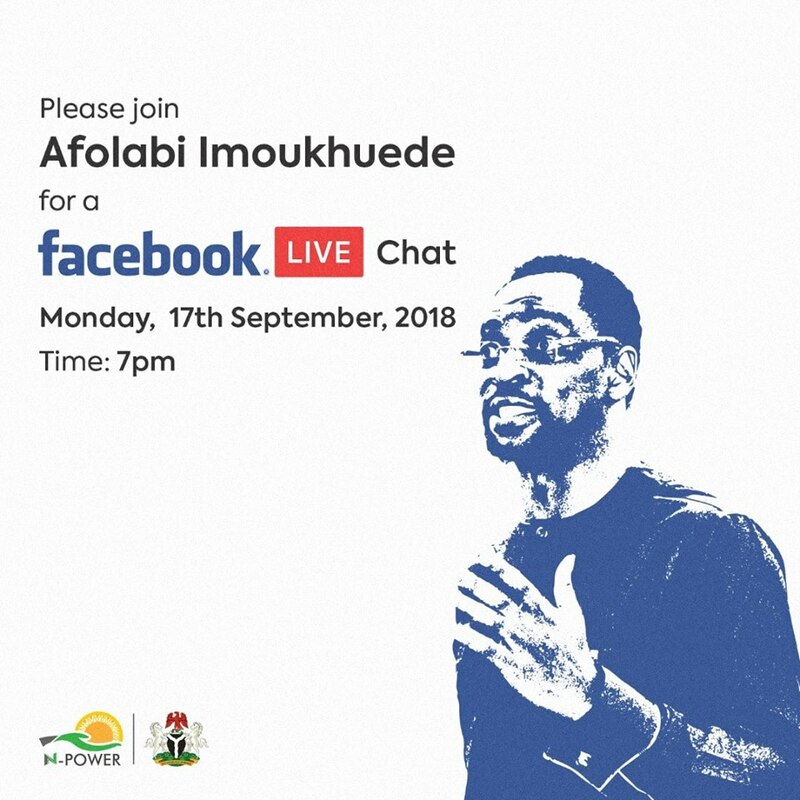 One of the importance of N-power Facebook Live Chat is: It gives beneficiaries the opportunity to ask questions. N-Power is one of the Social Investment Programmes of President Muhammadu Buhari's administration. It is the employability and enhancement programme of the FG aimed at imbibing the learn-work-entrepreneurship culture in youth between the ages of 18-35.